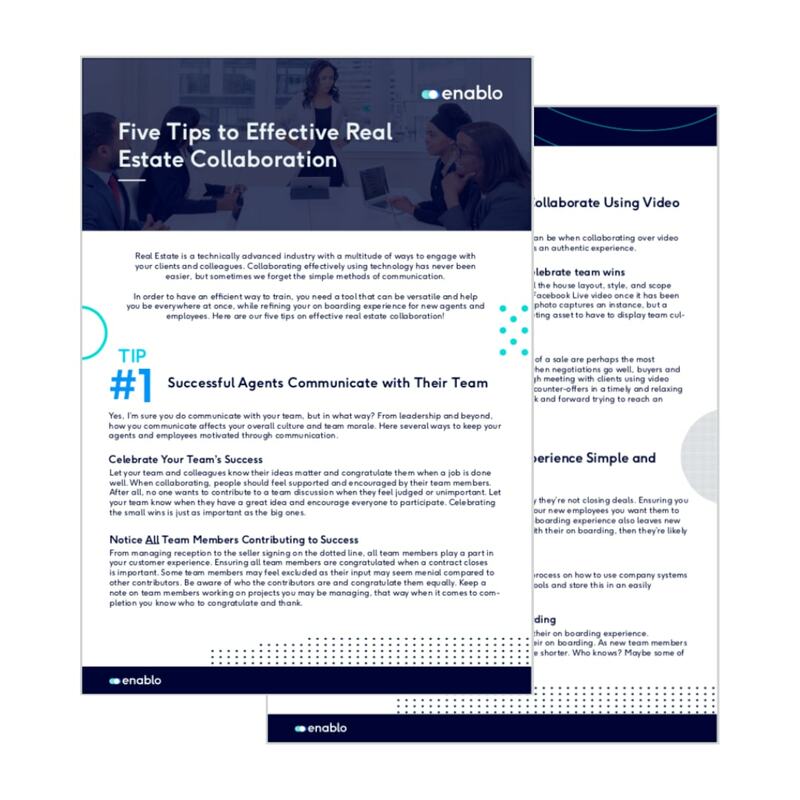 Thank you for downloading '5 Tips to Effective Real Estate Collaboration'. Click below to download your content. At Enablo, we are constantly exploring ways to apply modern digital solutions to drive essential breakthroughs in organisational culture and business value. We believe that the future of work requires networking, mobility, and collaboration. This is why we have partnered with Workplace by Facebook. Stay in the loop on all things Enablo and Workplace by Facebook by signing up to our newsletter.